Sunday was a day of remembrance for our nation and region as we remembered those who lost their lives 15 years ago in the 9/11 attacks. 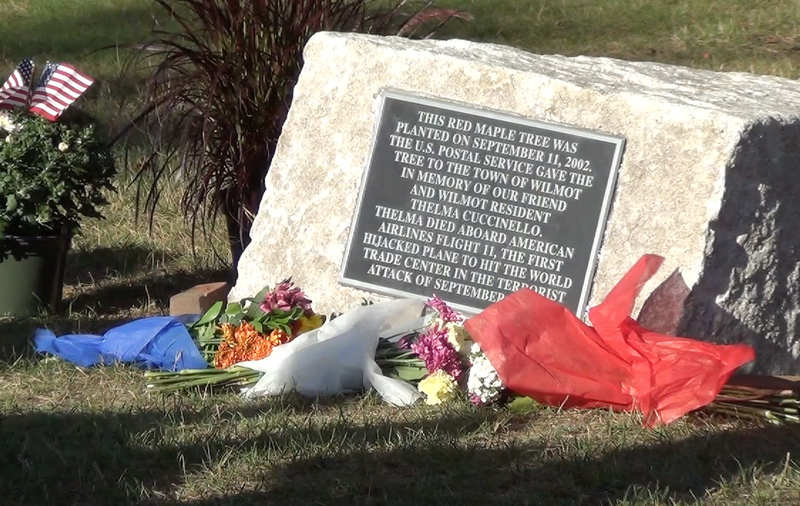 In particular, the town of Wilmot held a 15th Anniversary Memorial Program to remember all of the victims as well as one of their own, Thelma Cuccinello. We caught up with Rhonda Gauthier who is the Town Clerk, Tax Collector, and Member of the 9/11 Memorial Committee.